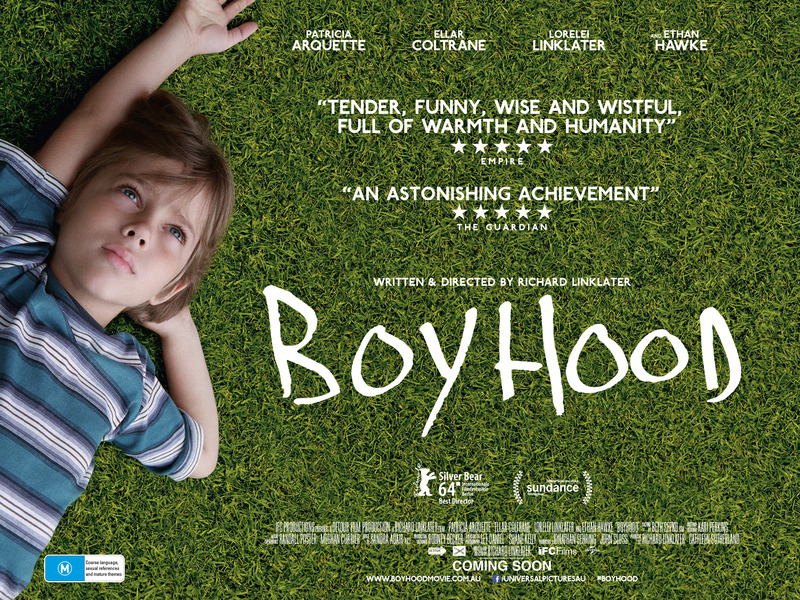 Boyhood – Did You See That One? The life of Mason (Coltrane) as he grows from an energetic five year-old to a young man. It’s hard to describe this unique drama that Richard Linklater (School of Rock) wrote and directed. The filming took place over a period of more than 12 years, allowing a unique look at the cast throughout that time. The film stars Ellar Coltrane (Fast Food Nation), Patricia Arquette (The Indian Runner), Lorelei Linklater (Occupy, Texas), and Ethan Hawke (Gattaca). This is a wonderfully written drama, looking at the highs and lows of life for a young boy. The story does a good job of acknowledging the many people involved in the way a young man might grow up. The dialogue feels natural, and seems to strive for honesty. Nothing about this ambitious project feels pretentious thanks to the way it’s written. The writing seems to bring out all of the charm and emotion I hoped for with a story like this. I was also glad that the flaws of the characters feel so real and remain consistent throughout the movie. It’s always nice to see a film written with such a realistic view on the way life goes. It’s also interesting that Linklater began filming without a completed script. He asked for input from all of the stars in mapping out the events in their character’s lives. Although he knew where the story was going, he also watched the footage from the previous year when preparing for the next year’s shooting. This allowed the movie to make the right adjustments to cover the real-life changes in each of the actor’s lives. This is a wonderfully unique process that paid off with a wonderful story. The writing and visuals are hard to separate for me. The movie uses the camera to push the emotional side of this story. The imagery includes some wonderful clues that foreshadow the future for the characters. More than anything, Linklater and the crew did a great job bringing continuity to the film despite the huge gaps between shoots. Thankfully, the producers gave Linklater the freedom to use unconventional methods to pull this one off. 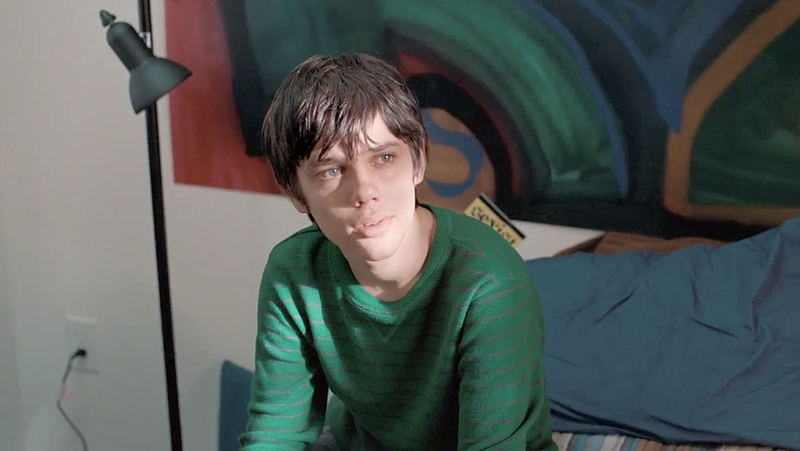 The acting is the third piece to this unique puzzle that Linklater put together. With his freedom, Linklater was able to write a story that adjusted with the changes in the lives and the bodies of the actors. 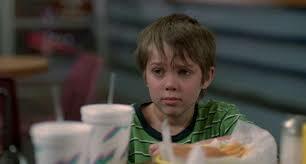 Ellar Coltrane literally grows up before your eyes in this one, and it’s wonderful. Even in the early moments of the movie, he has a natural charm that works so well. He’s also got a great chemistry with Arquette. This is the second essential aspect of the acting since the mother-son bond is such an important part of the film. She also does a great job working with a role that changes dramatically throughout the story. She does all the right things with the emotions in the story. 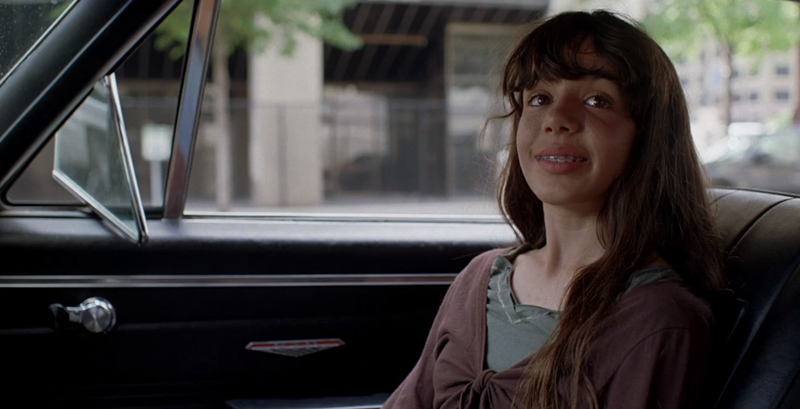 Lorelei Linklater is also good as Mason’s sister in this one. She has some great moments that help to bring out the family chemistry between herself and Arquette and Coltrane. 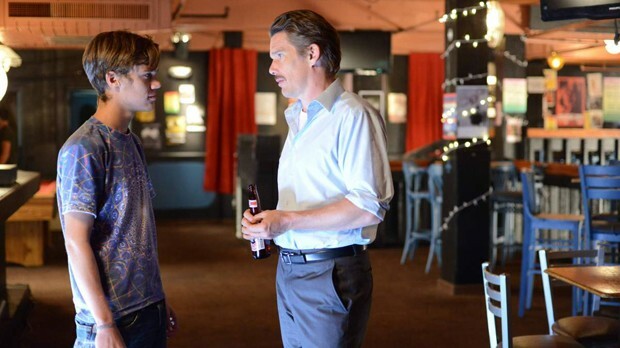 Finally, Ethan Hawke is so good in this movie. He had to bring out the likeable qualities of an often absent father. He used his own life experiences with divorce to bring out realistic moments in the film. Along with the rest of the cast, these four actors do great work creating the fractured family of the film. The acting brings out the right emotions to turn this into a wonderful experience. It’s been difficult putting the successes of this film into words. The story is so different from anything else I’ve seen in a long time. The process for making this film is evident in the changes seen in the characters from beginning to end. The movie isn’t trying to provide answers, it’s simply asking a number of perfect questions. This movie was a wildly successful film with the critics. The movie earned Oscar nominations for Best Picture, Best Supporting Actor (Hawke), Best Supporting Actress (Arquette), Best Director, Best Editing, and Best Original Screenplay. If you’re interested in seeing something unique, this is one to see. I would also suggest this to fans of Linklater or anyone in the cast. I give this one 4.8 out of 5 stars. It sort of feels like nothing’s happening for the longest time. That is, until it becomes apparent that there is something happening. It’s just life. Good review. It was hard to put all of the emotion into words when I looked at ways to summarize this film. You’ve done a pretty good job here. Thanks for checking out the review! I wasn’t as crazy about this movie as everyone else, although the concept is very original. It’s just such a unique approach. I knew it would not speak to everyone because of that.